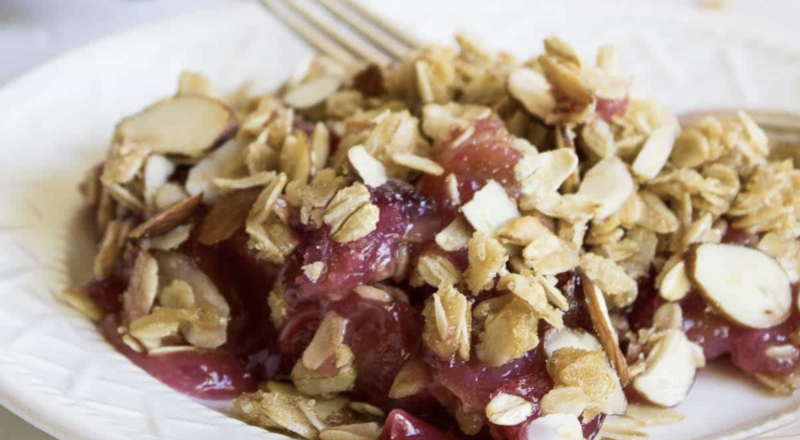 I was craving something sweet tonight – and with not much in the way of bad for me stuff in the house – I put on my thinking cap and came up with a Cherry Almond Crumble. 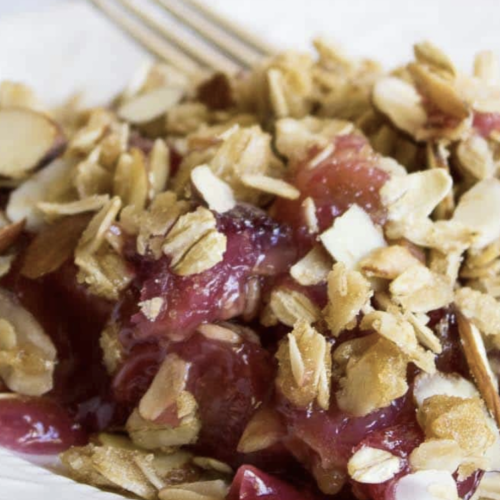 Maddie and I had a cherry crisp at a local restaurant this summer that was to die for – while that was probably sugar laden and full of butter, I thought I could recreate a close facsimile with sugar substitute and some ingenuity. This is totally worth it. if you cut the “pie” into 8 servings its 3 PointsPlus per serving. In a small skillet combine the frozen cherries, water, Splenda, cornstarch and almond extract and bring to a simmer - stir until thick. Bake at 350 degrees for 30 minutes until top is brown and crispy.